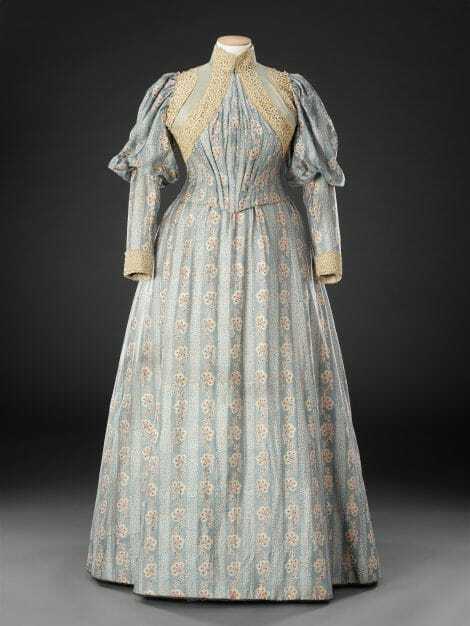 This dress is part of the collection of the Cadbury family, the chocolate manufacturers of Bournville, Birmingham, which now belongs to the John Bright Collection. 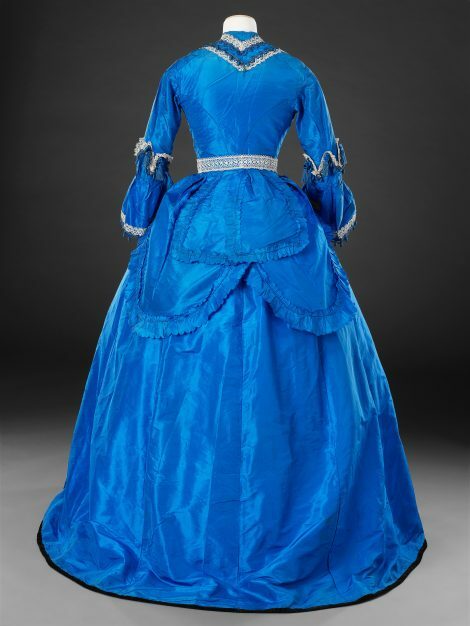 It comprises a skirt, a belt with attached back panels, and two bodices – one for day wear with a high neck and long sleeves, the other for evening with a low neck and short sleeves (see Additional Images). The custom of creating two bodices for the same skirt was both economical and practical; the same versatility could be achieved in a one piece dress with separate long sleeve extensions that could be attached to short sleeves. 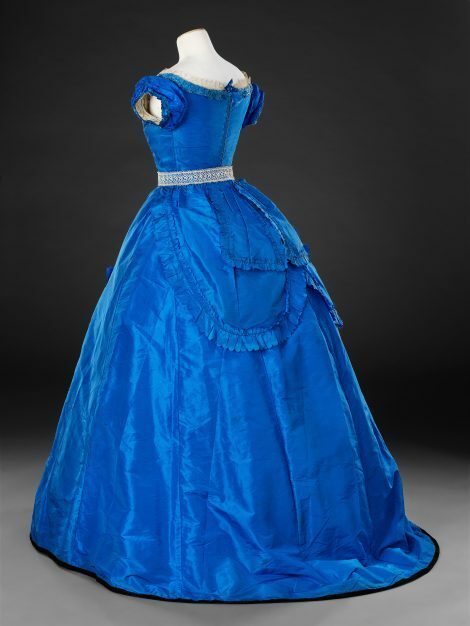 A second bodice could also be made later to bring a dress up to date (see Related Items). 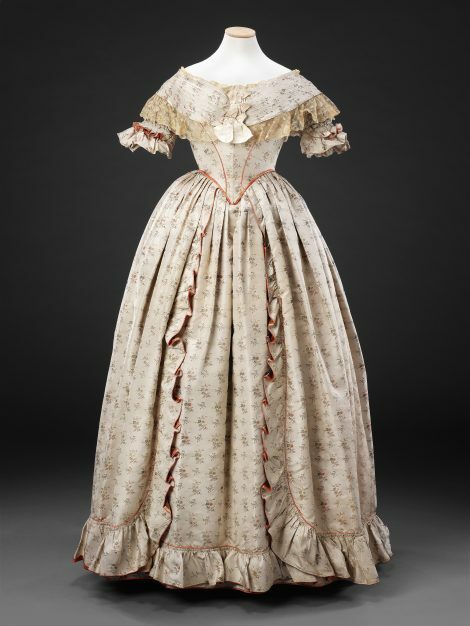 The evening bodice is plain and conservative in style, with a laced back fastening; the sleeve flounces of the front fastening day bodice show the contemporary influence of the 18th Century dress, as do the gently curved frill down the centre front of the skirt, simulating those on the petticoat fronts of gowns from the third quarter of the 18th Century. 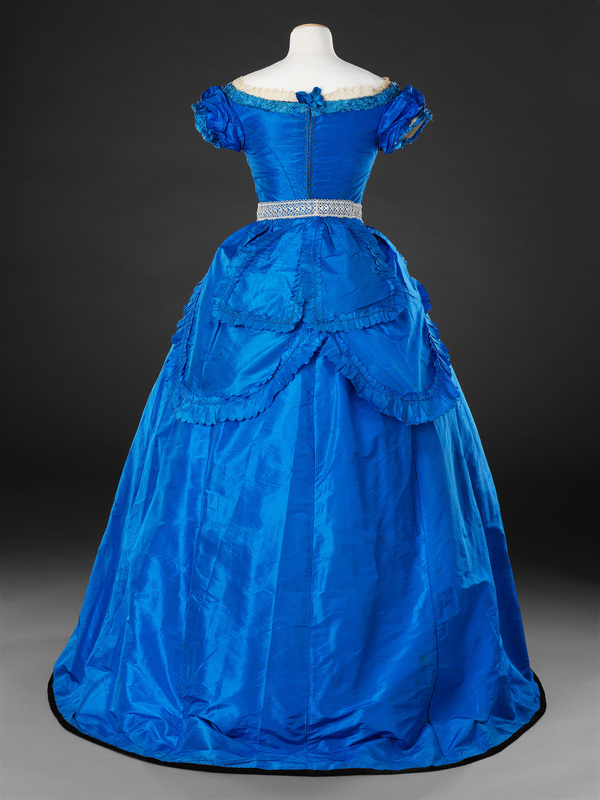 The separate belt with its back panels forms a focal point to both day and evening permutations. 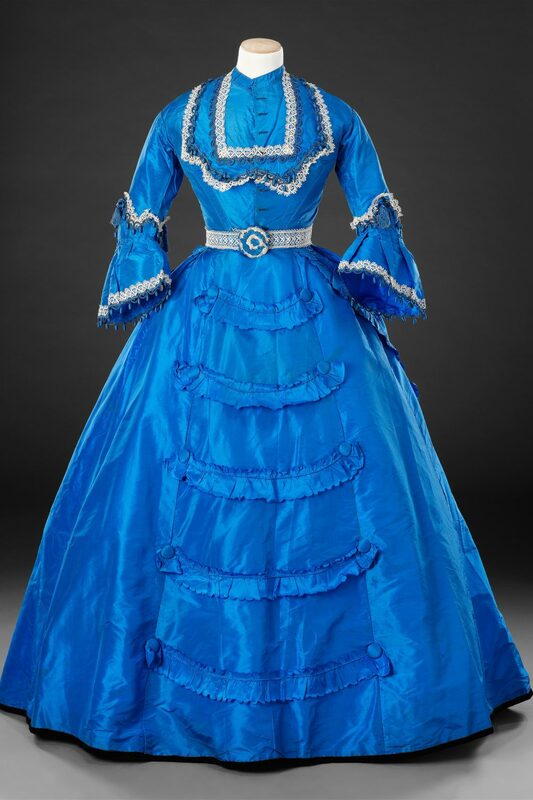 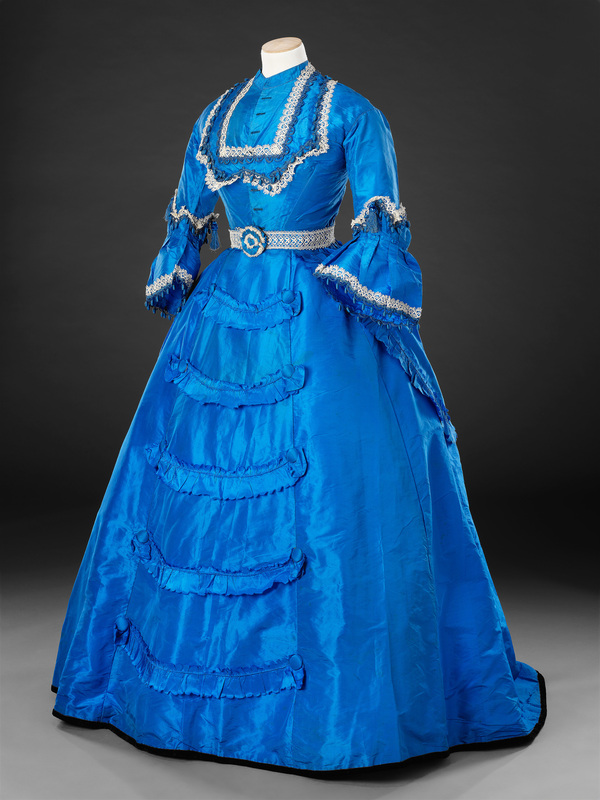 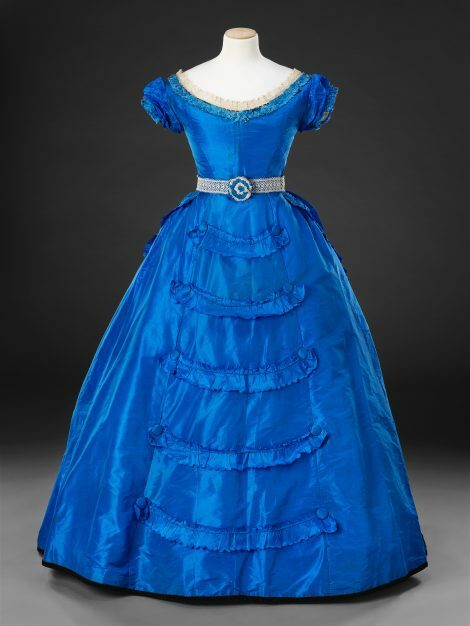 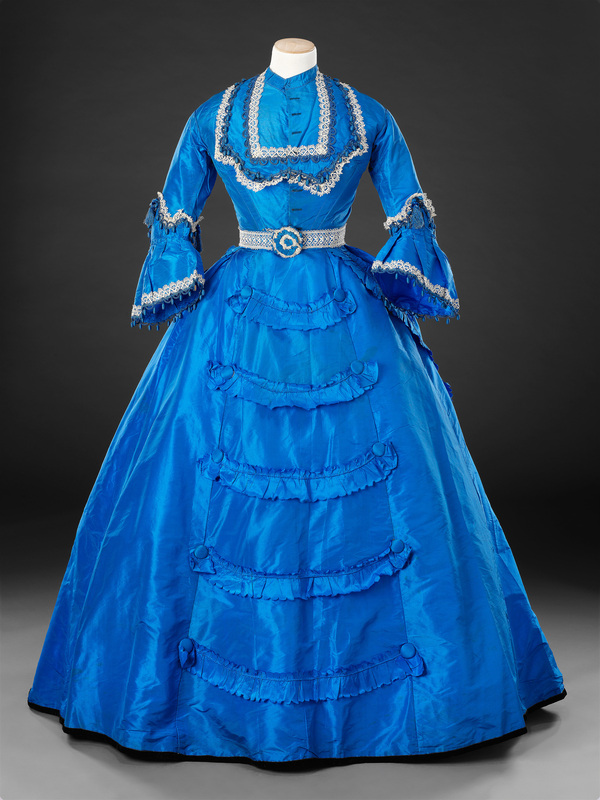 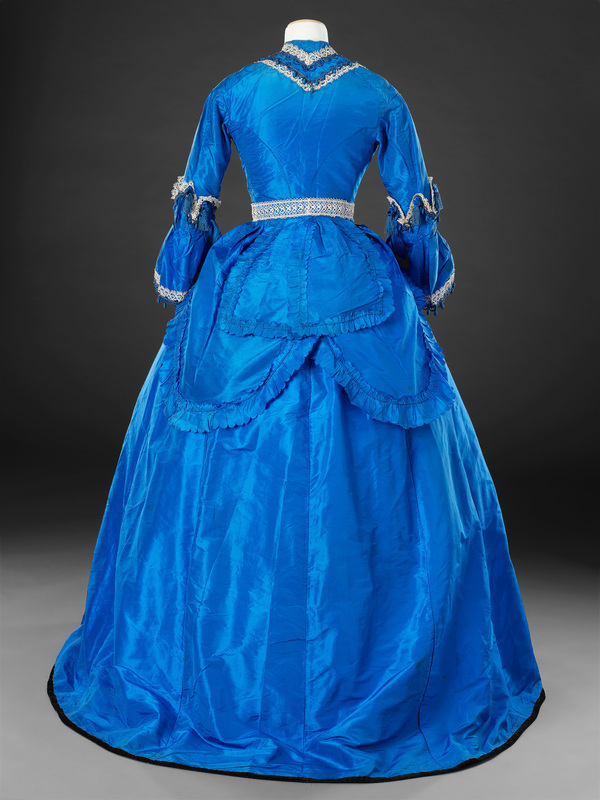 The dress’s brilliant blue colour, set off by the white lace, is likely to be one of the new synthetic dyes used from the late 1850s, having been established by the chemist Sir William Henry Perkin in 1856. 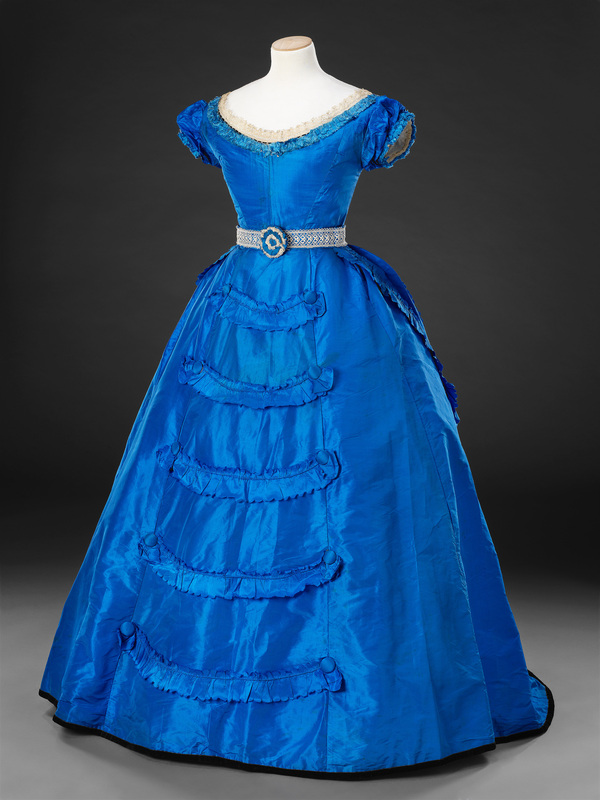 His discovery led to the fashion for vivid shades of magenta, mauve, green and blue.